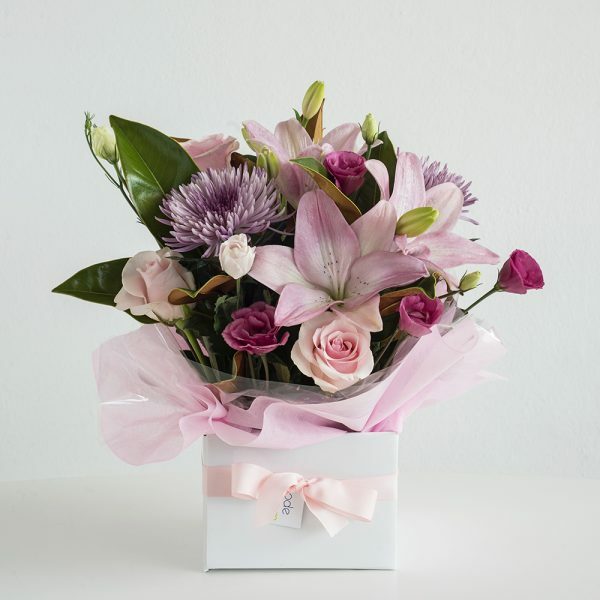 Box arrangement of the best seasonal pink blooms, arranged with complementing foliage. Beautiful blooms for a new baby girl, or a special female. Comes with a complimentary gift card with your message included.